What kind of subscriptions do you have available? With our pro plan you can only start sessions from your Surfly dashboard. This could be perfect if you have a sales use case for instance and you want to use Surfly to give product demos. If you want to step it up a notch and impress your users by adding co-browsing to your website, the business plan is the way to go. With this subscription you’ll have full access to our API, meaning that you can integrate Surfly in any way you seem fit. Maybe you want to add a button to your website to start a co-browsing session? 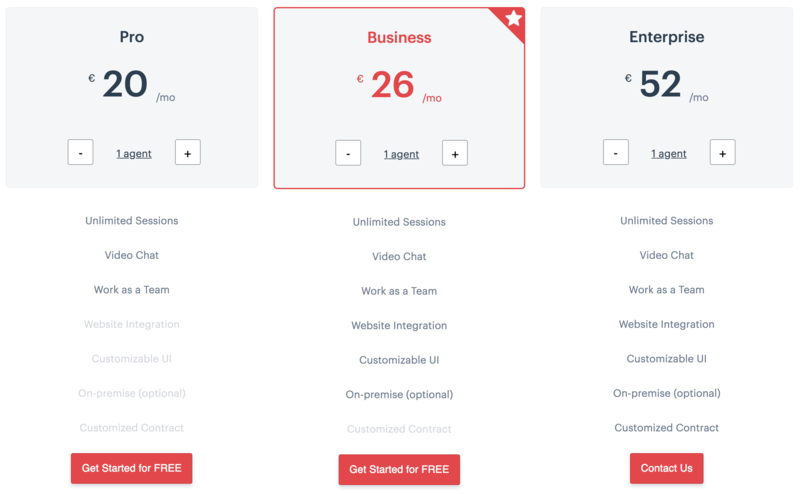 Or maybe you would like to create your own landing page with a custom URL you can send to your users? The possibilities are endless. For enterprise licenses, integrations, professional services, specific agreements, etc. you can contact us at sales@surfly.com for more info on enterprise licensing.